Pressure cookers have been around for a long time, but the days of regular pressure cookers are over. 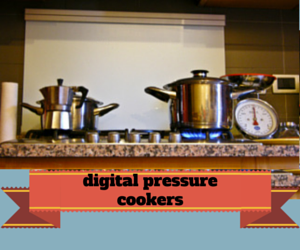 Most people start to use an electric digital pressure cooker because they are so much more convenient to use. We are all short on time and have to much to do. in our digital pressure cooker reviews we will review the most popular and top rated electric pressure cookers models to safe you time. We don’t like to waist our and your time on reviewing low rated products that is why we have chosen to review the following digital pressure cookers. 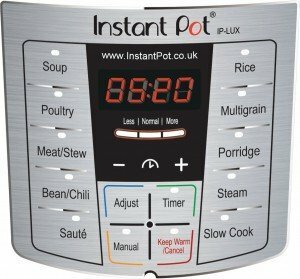 Instant pot ip-lux60. The full description is that this is a 6 in 1 programmable 6 quart pressure cooker. 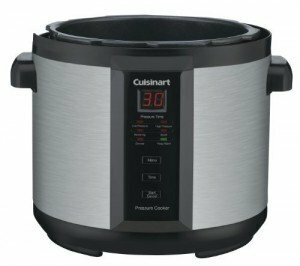 Cuisinart cpc-600.This Cuisinart pressure cooker is with its 6 Quart and 1000 watts this is a very versatile cooker. With a 4.2 start rating from over 1000 buyers and real users this is in our top 5 reviews. 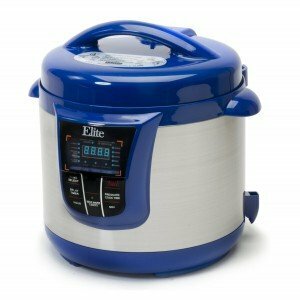 Maximatic epc 808 Not the most know brand, but with a customer review of 4.4 stars from over 225 people it deserves a place in our top 4 of digital pressure cookers. This is a larger pressure cooker with its 8 Quarts. With an availability in the colors black, blue and red there is always one that will fit your kitchen decorum. 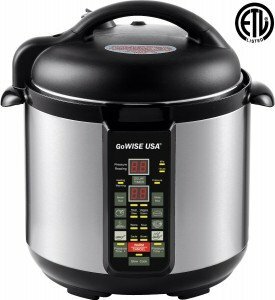 Gowise usa pressure cooker 3.8 stars is a pretty good rating. The Gowise digital electric pressure cooker is available in a 4 quart and a 6 quart version. This makes it very useable for smaller portions and if you just cook for yourself or a few people. Since using a pressure cooker just like anything else has a little learning curve we highly recommend to have a look at some of the best selling pressure cooker cookbooks. This will probably safe you a lot of time and they come with easy to follow recipes. We have reviewed them on their own page and you can get there by clicking on the following link. I found one tip from someone who lives high in the mountains and mentioned that is takes a lot longer to cook on that altitude. She started using a pressure cooker and mentioned that even on their high altitude she only needed to adjust the cooking time with just a few minutes to get great results. This means that if you live in the mountains you can safe a lot of time by using a pressure cooker.